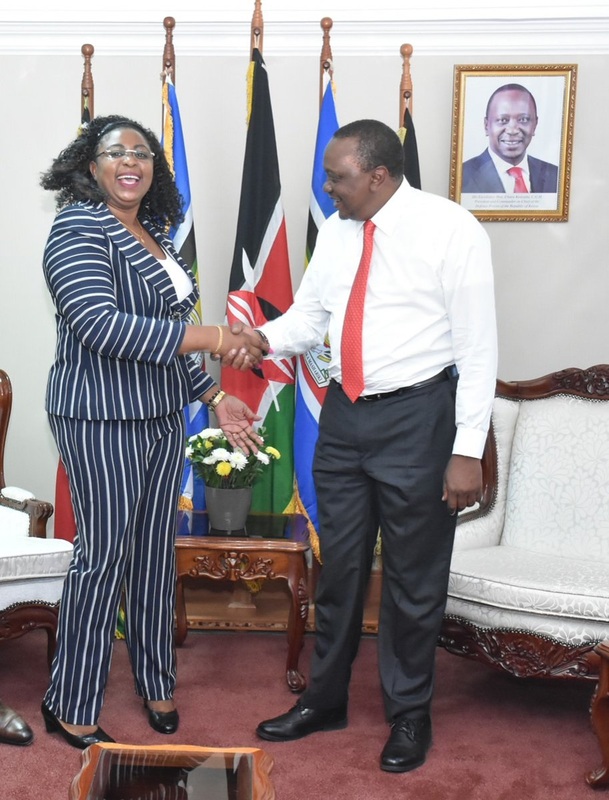 Wednesday March 27, 2019 - Malindi MP, Aisha Jumwa, met President Uhru Kenyatta and his deputy, William Ruto, at Harambee Annex on Tuesday. Jumwa, who has since been expelled from ODM for associating with Ruto, was seen embracing Uhuru and Ruto and they later posed for a picture all smiles. Jumwa later took to social media and insisted that the 'handshake' between her and the hosts was 'genuine', perhaps a direct jibe at ODM boss, Raila Odinga. "Earlier today, I had another 'Handshake' with H.E President Uhuru Kenyatta. Also, I shared a light moment with both the President and the DP. #GenuineHandshake #CascadingHandshakeManenos," Jumwa said. However, Suna East MP, Junet Mohamed, had no kind words for Jumwa after he met the Jubilee Party duo. Junet said the meeting with Uhuru and Ruto is an indication that she has officially decamped from ODM to Jubilee Party. "When you disagree with your party and join another one, you do it as Hon Aisha Jumwa did yesterday.. Mchana peupe!! Congratulations Hon Aisha," Junet said on Wednesday.